THE FAI has this week dismissed an appeal by Regional United against their expulsion from this season's FAI Junior Cup. 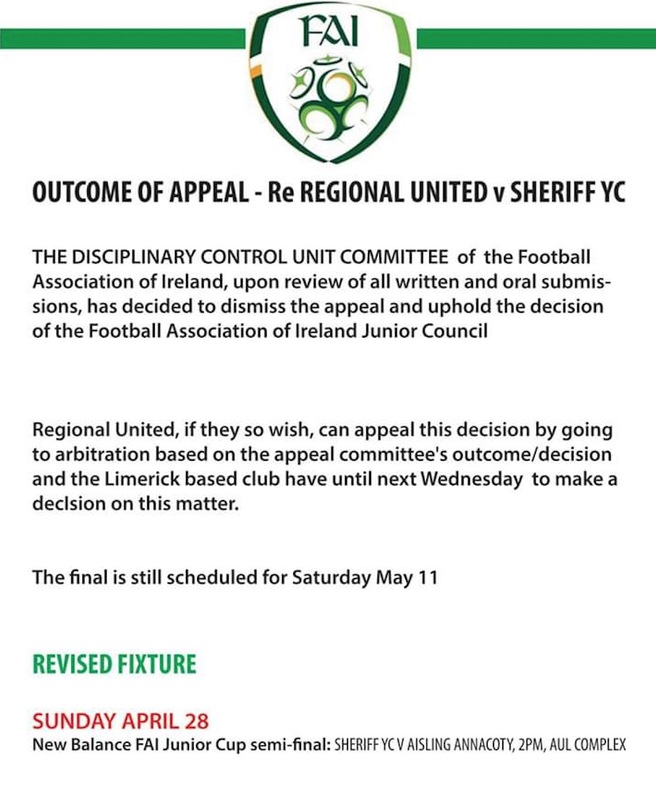 The Disciplinary Control Unit Commitee of the FAI opted to dismiss the Limerick side's appeal and uphold the decision of the FAI Junior Council. Regional Utd, if they wish, can appeal the decision by going to arbitration based on the appeal committee's outcome/decision and the Dooradoyle based club have until next Wednesday to make a decision on the matter. 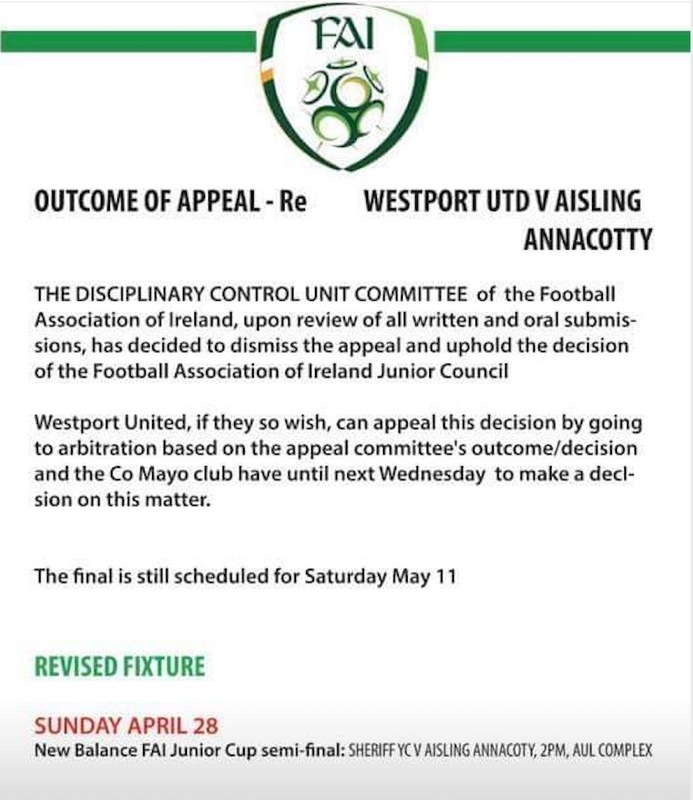 Also an appeal by Westport United over their FAI Junior Cup quarter-final tie with Aisling Annacotty has also been dismissed by the FAI Appeals Committee. Again, Westport Utd also have the option to appeal the decision by going to arbitration based on the appeal committee's outcome/decision and the Co Mayo club have until next Wednesday to make a decision on the matter. As it stands, Aisling Annacotty will now face Sherriff YC in the New Balance FAI Junior Cup on Sunday, April 28 at the AUL complex at 2pm. The final is set for May 11 at the Aviva Stadium.